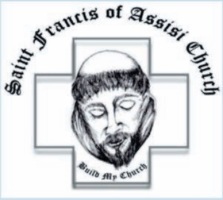 Saint Francis of Assisi, a Eucharistic community, invites its young people and adults to serve at the table of the Lord. Altar Servers help facilitate our Eucharistic liturgies in a regular and reverent manner. Serving the people of God while we worship in the church is a way of growing closer to God. We cannot see God. But when we do something for God’s people, we give worship and honor to God and encounter the living God. Serving at the Altar is a special privilege. Altar Servers are close to the altar as they serve the priest, they carry the cross, they carry the light of Christ as the Gospel is proclaimed. Our altar servers wear the robe of baptism (the alb), which is a sign of their position in the community as baptized people. They hold the book of the prayers (the Roman Missal), and they help the priest at the altar. How wonderful this is! This ministry is open to anyone who has completed and received their First Holy Communion or older. Being an Altar Server is a liturgical function, therefore one must be a baptized and received their First Holy Communion. It is out of one’s baptism into the Body of Christ that they are called to this ministry. Once one has been trained, Altar Servers work with a team of two to six servers. As a team each server chooses which function they will do at the given Eucharistic Celebration. 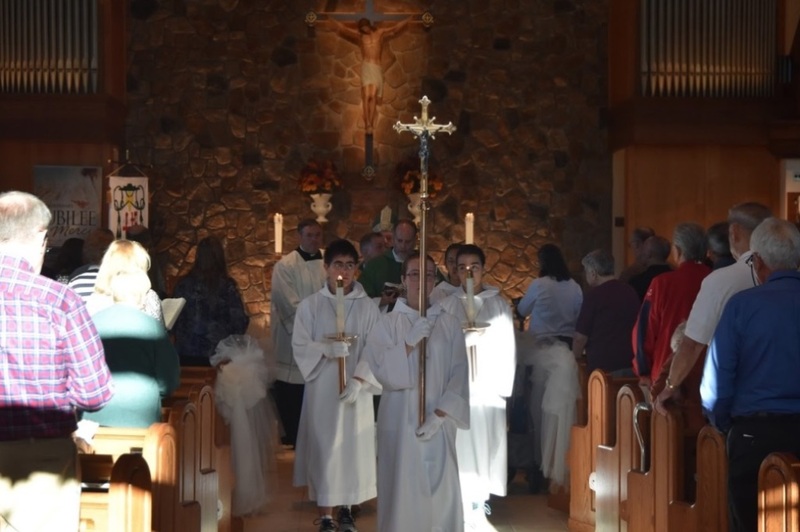 Altar Servers assist Father at different Eucharistic liturgies such as Weekend Masses, funerals, and weddings. If you are interested in becoming an altar server, please contact Matt Egan via email at megan@sfoachurch.com or by phone at (215) 962-1942 or complete the Volunteer Information Request form below for more information.